Audience/Genre: New Adult,Contemporary Romance, Abuse. Publication: August 14th 2013 by Createspace. First Impressions: Wow, just like the saying goes; I didn’t know what to expect, but I didn’t expect this! Hannah is strong and independent. She has only had one boyfriend and only one person has ever kissed her- Eric. But she was young, much younger to him. Two years later, he is still trying to get her to marry him and sell her grandmother’s ranch. Hannah feels she is still too young to get married and doesn’t want to sell her grandmother’s ranch, her home. Eric is determined and ruthless. It takes time but suddenly when Leo comes into town with his polo playing family and Eric see him eyeing her, he sees red. That’s when Hannah sees the real side of Eric. He hits her. She thought she knew him. I can’t even imagine what that would be like; having someone in your life for two years and finding out you really didn’t know that person at all. Leo knows that Hannah is attracted to him too. She just doesn’t know what to do. Leo and her talk and she tells him she likes him but it can’t be. At least until she can get a hold of what is going on with Eric and end it with him. But like all abusers, he threatens her and hurts her more. Hannah tries to protect everyone and tells Leo to go away. Thank goodness he doesn’t listen. Meanwhile, a broken horse, Argus, comes into her life to see if she can fix him like her grandma used to. She doesn’t know how and Leo does, so he helps her. As time passes, Hannah loves the horse and wants desperately to help him. Let me tell you, Leo and Hannah know how to crank up the heat while helping Argus!! But Leo has his own demons. And Hannah may not approve of that either. But when Leo comes clean, will she believe him and trust him? Time passes and Eric gets his clutches in deeper and deeper and you will see how far gone he really is. It is really disgusting. Leo and Hannah are like synchronized in all they do. They are the cutest couple ever. He gives her a flower and puts it behind her every so often. Oh sooo sweet!! I so want to tell you the end. But I won’t but it made me hoot and holler!! I am still thinking about the book here days later. You can’t help but think about it. Sad, mad , happy and disgust roll in your stomach long after the reading is done! 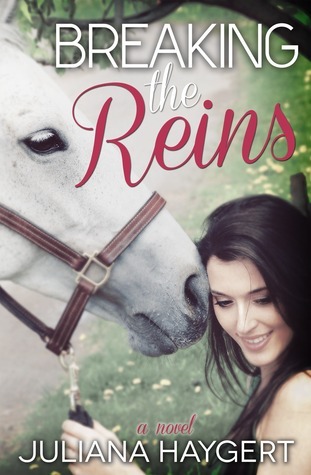 If you love a story with some overcoming domestic violence, a Brazilian polo player, a man putting flowers behind his girl’s ear, families overcoming their own problems, horses, training broken horses, family fun time together, finding that justice will prevail, and healing your own heart than this book is for you.